First Time In A Dispensary? Stop buying your pot from the black market– you owe it to yourself to smoke quality weed to get the most therapeutic benefits out of the plant. Many people are still intimidated with going to a legal dispensary, especially after buying from the same dealer for years. There’s nothing to be scared about when making a visit to a dispensary. Having access to the healthiest cannabis that you can is the least you can do especially if you are trying to cure or manage a condition. Dispensaries carry a wide range of cannabis products so that you can choose the right delivery method that works for you, whether it’s taking cannabis tinctures, strains, edibles that are packaged and labeled, and many more. If you prefer to use cannabis products for their therapeutic benefit without having to get high, legitimate dispensaries will likely carry these products too. Dispensaries employ professionals who are well-versed with everything cannabis. You can ask budtenders all the burning questions you might have about the plant, dosage, delivery methods, edibles, medicinal benefits, and more. Before you go, make sure that you are carrying enough cash to make a purchase. 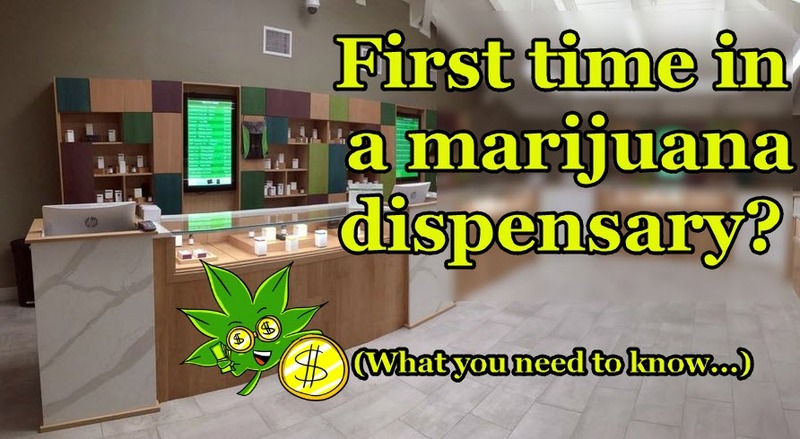 Most dispensaries still operate on an all-cash basis, although some may already have ATM’s and offer cashless transactions. Marijuana products are taxed high, so bring adequate cash. If you aren’t sure, visit the dispensary website or give them a call to make sure that your experience is as seamless as possible. Bring your MMJ card with you, and make sure that your recommendation is still valid. Recommendations can last 6 months up to a year; you’ll need these documents when you come face to face with your budtender. Try to make a habit out of offering these documents so that budtenders won’t have to ask it from you each time – it’s standard practice even if you’ve been visiting the same dispensary for years now. Upon arrival at the dispensary, don’t be surprised to see security outside. All dispensaries employ special security staff that will likely search you before they let you in the premises. If it’s your first time visiting a dispensary, they may give you a tour and brief you over the store policies and then ask you to fill out a form if you are a first-time customer. The next time you visit the same dispensary you can just show them your ID; future check-ins will likely be more lenient but this depends on state laws. Sometimes you may have to wait in the lobby before you are let in. If you are visiting with people who don’t have an MMJ recommendation, they won’t be allowed to enter past the lobby area. Some dispensaries are stricter about non-MMJ patients who visit and they may be asked to wait in the car instead. Once you arrive in the cannabis area, a budtender will be assigned to you. Dispensaries employ budtenders, people who are well-versed with everything cannabis although they aren’t licensed and some may not be as knowledgeable as others (you’ll be able to tell if a budtender knows enough about cannabis). You can ask budtenders all the burning questions you might have about the plant, dosage, delivery methods, edibles, medicinal benefits, and more. Budtenders are usually assigned to specific areas where you will be placed, but it’s considered rude to look over the counter of another patient; besides, all counters will have exactly the same cannabis products. Feel free to take your leisurely time examining various cannabis products of your choice until you make a decision. You won’t be rushed although it’s just good manners to be mindful of other people waiting. If you want to examine cannabis flowers closely, budtenders can take it out of the jar for you. You’ll be allowed to smell it but touching is strictly prohibited because this can damage the trichome crystals. You can also ask for a magnifying glass although counters already usually have one in handy. During your visit to the dispensary, it isn’t the right time or place to ask a budtender about various smoking or delivery devices to use. They specialize in cannabis products but for your device needs, you are better off visiting a headshop. Ask budtenders about lab testing, which is the only way to give you the essential information that you need before making a purchase. Knowing the cannabinoid and terpene content in a strain is crucial to knowing what condition the strain is most effective in treating. If the cannabis has been lab tested, this is also a way for you to know that you are buying quality cannabis that doesn’t contain pesticides, dirt, mold, and other nasties that could go into your body. Take time to explore the dispensary because there are areas that store products that may not be available in the counters. Some dispensaries have refrigerators that store cannabis drinks, ice creams, butters, and other goodies. There are also usually shelves that display topicals, ointments, and beauty products. Observe proper etiquette when visiting dispensaries. Remember that the other people inside the dispensary may be there to find medicine to treat debilitating or serious conditions so it would be respectful to refer to the plant as cannabis instead of pot or weed. For countless people, cannabis is life-saving medicine and it’s only right to refer to it appropriately if you are around them. It’s also prohibited to take photos while inside a dispensary so don’t be surprised if you’ll be forbidden from using your mobile phone. The Daily Dab #6 | Growing weed for the first time...NEWBS!